Save Victor to your Collection. Register Now! The artist Victor Bregeda was born in 1963 in the city of Taganrog, Russia into a family of painters. The artist states that he has been painting since he can first remember himself. 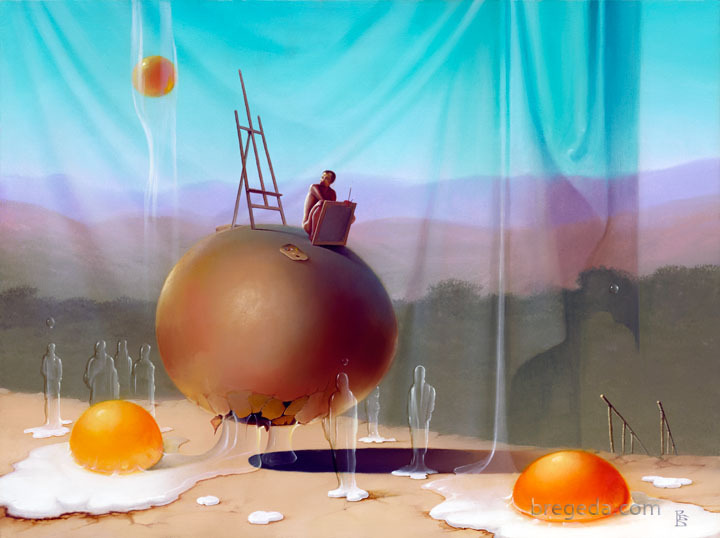 After attending an art school, Bregeda made a decision to move forward with his personal interpretation of creative art putting himself in sharp contrast with the academic art training. Victor’s art quickly became popular and won recognition in local and international contests. In early 2000, Victor’s career took a new turn when he was invited to promote his work in the U.S. His first art shows in Hawaii became instant success. 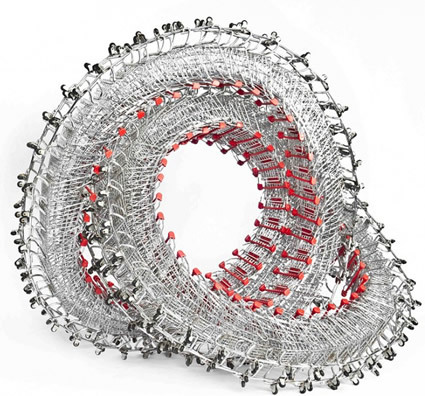 Since then Bregeda art has been gaining steady prominence in the international art world. 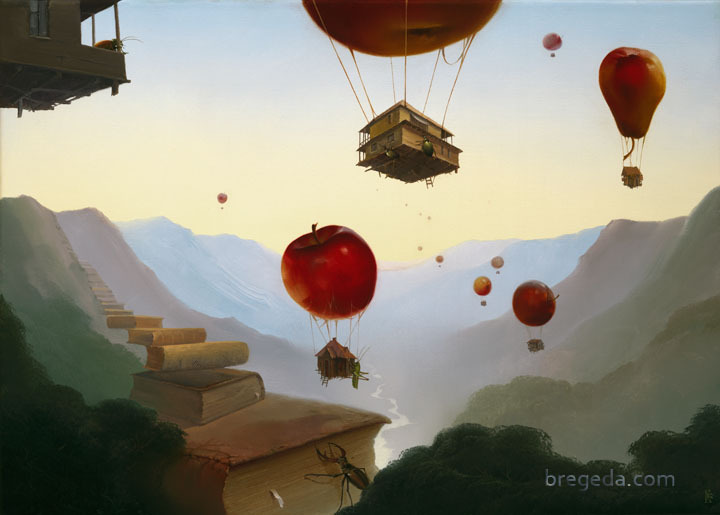 Bregeda has been often compared to Salvador Dalí and other masters of the surrealistic genre. The artist positions his work in the metarealism style. His artworks carry significant signs of individuality not easily attributed to other artists. Bregeda art commands attention, it is both subtle and powerful. It is timeless, thought provoking, elevating in substance, and is flawlessly done. Victor - You are an amazing artist. Not only are the ideas and visions intriguing; but you also rendered them perfectly. Keep up the awesome work! Unbelievable talent. Thank you for sharing! Great original work! Similar genre to Kush and Gonsalves, but pretty different story-telling and the old Dutch technique. Amazing, how they pull you in and wrap around you.. Very derivative. Very much in the style of Vladimir Kush. Meh. Reminds me of morning break feast. I *know* that feeling! Nicely said!